Dorothy’s ruby slippers, one of the Smithsonian’s most popular artifacts, will return to the National Museum of American History on Oct. 19. A rare pair of red sequined slippers that Judy Garland wore in the classic film “The Wizard of Oz” have been found, the FBI announced Tuesday, nearly 13 years after the iconic shoes were stolen from the actress’ birthplace. The shoes, estimated to be worth at least $1 million, had been kept in a Plexiglass case atop a podium inside the Judy Garland Museum in Grand Rapids, Minnesota. On Aug. 28, 2005, burglars (or a burglar) broke into the museum and smashed the case with a baseball bat. Investigators estimated that the heist took only seconds. 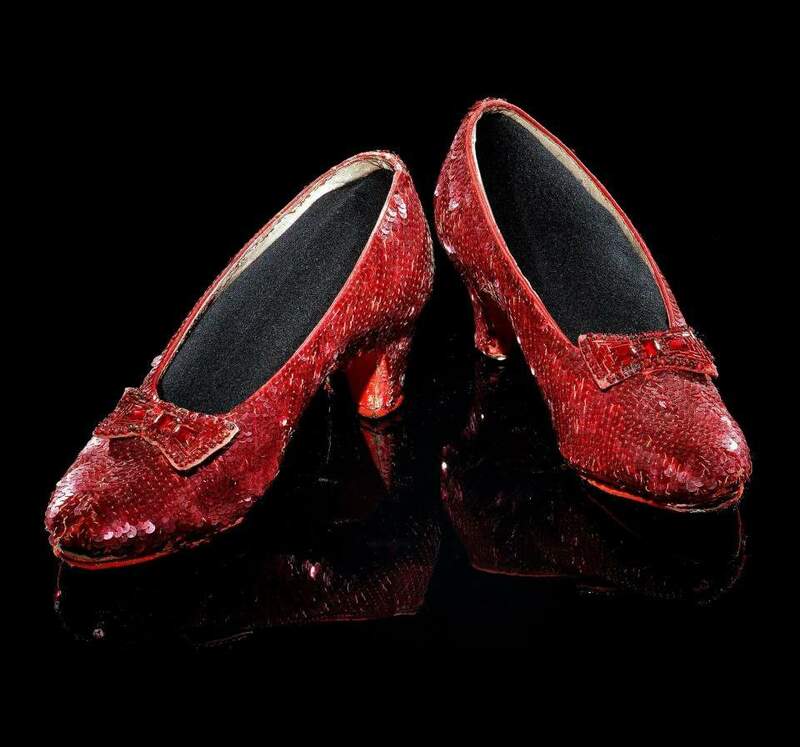 The search for the famous ruby heels, which Garland wore while playing Dorothy, has taken investigators to a collector’s mansion in San Diego and to the bottom of the Tioga Mine Pit, just outside Grand Rapids. But the slippers reported to have been in the collector’s mansion were phonies, and divers found nothing at the bottom of the pit. The FBI field office in Minneapolis has not said where or how the slippers were found. A news conference is scheduled for Tuesday afternoon. The museum didn’t immediately return a call seeking comment. Several pairs of ruby slippers were made for the 1939 MGM film, and at least four, including the stolen pair, are known to exist. One pair was found in the basement of MGM’s wardrobe department in 1970. An anonymous buyer bought it at an auction for $15,000 and donated it to the Smithsonian in 1979. The pair was removed from display in April 2017 to be preserved. The Smithsonian raised nearly $350,000 through a Kickstarter campaign to pay for the shoes’ restoration. They will be back on display in October. The once-missing slippers are owned by collector Michael Shaw, who lent the slippers to the Judy Garland Museum every year. Museum officials wanted to keep the slippers in a safe every night, but Shaw didn’t want other people touching the delicate artifact. So Shaw delivered the slippers himself and placed them in the Plexiglass case. The shoes are famously connected to the line, “There’s no place like home.” Toward the end of the movie, Glinda the Good Witch revealed to Dorothy that her magic slippers could take her back home. “Then close your eyes and tap your heels together three times. And think to yourself, ‘There’s no place like home,’” Glinda instructs Dorothy. Dorothy does as she’s told, chants “There’s no place like home,” and wakes up in her home in Kansas. The Washington Post’s Jessica Contrera contributed to this report.